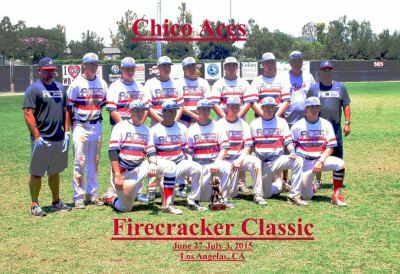 The purpose of the Chico Aces is to develop the younger athlete into a complete baseball player, as well as a complete young man. We will utilize a staff of instructors that will teach players how to train for and play at a highly-competitive level of baseball. Our program will focus on baseball instruction and training of our young athlete. Our coaching staff is what will separate us from other traveling teams. Our coaches have played in a collegiate baseball program, with some playing in a professional organization and the Major League Level. The instruction they will provide from their playing experience cannot be matched by other teams. Our coaching staff will share their personal experiences growing up and playing baseball, and the importance of their dedication and hard work to achieving success on the field. Our primary goal in selecting teams at each age level will be to have equally strong teams in order to compete on the field, as well as provide opportunity to develop as a player. Our teams will have an opportunity to utilize our indoor facility. Our teams will practice together for several weeks before starting our outdoor travel season. Each player will be provided with excellent training and instruction. Your obligation will be to work hard to become a complete baseball player. Each team will receive 4 months of instruction July - October and January -April and training from The Chico Bullpens professional staff. Each team will have a Team Manager who has played baseball at the collegiate level or above. Teams will practice 2 days per week beginning in July through October. Season ends in October but the kids can participate in winter practices. The Spring season begins January-April. Players will have an opportunity to have several team practices (Offensive and Defensive) before beginning the outdoor playing season. Our interest is to minimize travel expenses that parents incur traveling. When we do travel, our goal is to enter quality tournaments at reasonable distances. Each team will receive 3 months of instruction September - November and June - July and training from The Chico Bullpens professional staff. Teams will practice 2 days per week beginning in June - July. Fall season begins September and goes through November. Teams will begin playing in June making trips to Sourthern California, Arizona, and Washington.